We have a variety of products to meet all your needs. Please take a look at the products we have below and contact us with any questions. 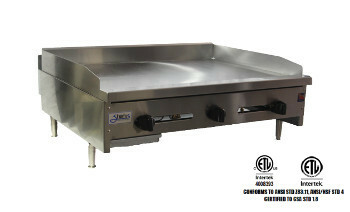 Stratus hot plates are designed of heavy gauge stainless steel with double insulated side panels. 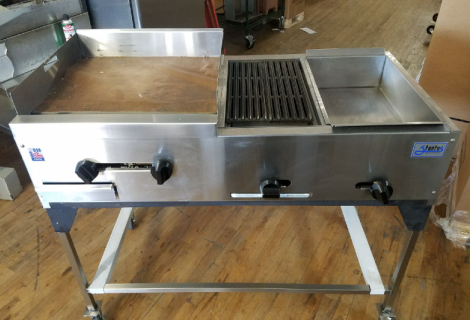 The heavy duty cast iron top grates and large plate ledge, compliment the work space. 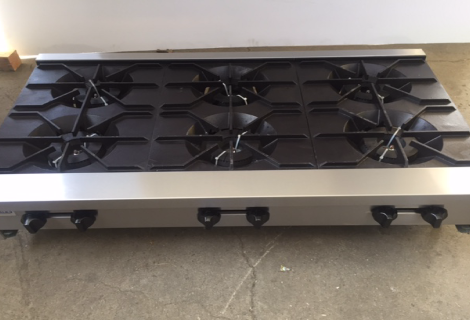 Hotplate models ranged from one to eight open burners. All burners are interchangeable and are standard with continuous pilots for instant ignition. 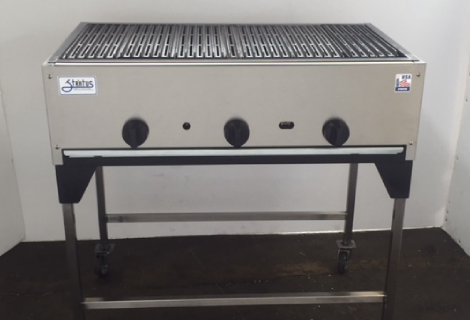 Stratus Radiant Broiler uses radiant heat to broil a wide variety of meats. Our broilers produce a great tasting product with creative char-broiled markings. The proven design allows easy cleaning and reduces maintenance clean-up time. 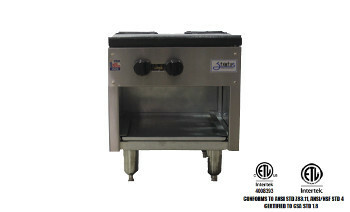 Cast iron radiant are removable and steel burners are located every 6” for even broiling. 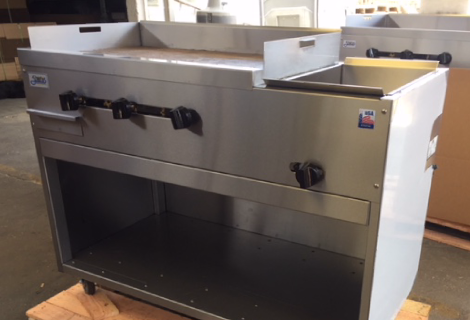 Large capacity drip pan is also removable. The heavy duty top grates are reversible in order to provide excess fat to flow to front gutter and minimize flare up. The heavy gauge fire box liner with double insulated chassis. Stratus StockPot provides standard, many of the optional upgrades normally offered at a premium on other Stock Pot lines. Constructed for durability they are made of heavy gage steel with a sturdy chassis design. 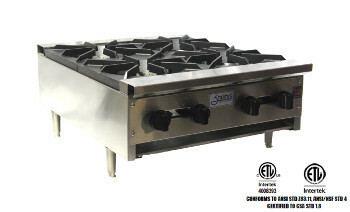 The three ring burner provides high performance cooking in a wide variety of applications. 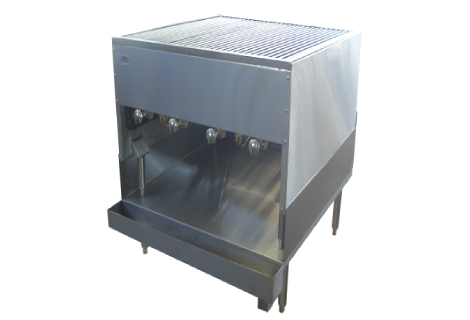 For quick clean ups, a full width removable drip tray is standard. 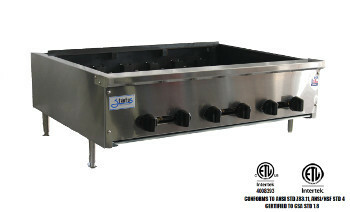 The top grate has a gradual slope to reduce spill over and will accommodate any size pot. Also we have available in 18” height, double deep design. 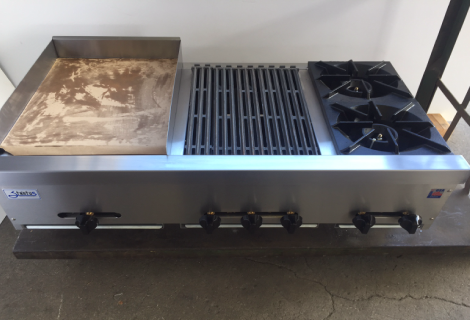 Stratus Manual Griddle insures that the heat is evenly distributed over the entire griddle surface, front to back and side to side. The recovery time is faster with the results enhancing overall productivity in your work place. 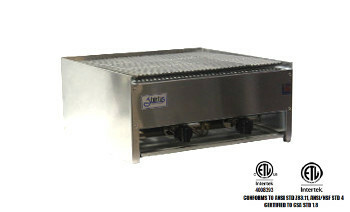 Our griddles are designed for the most demanding food service operations. They are engineered with advance features for optimal performance. 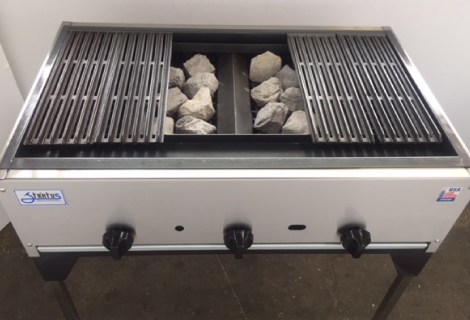 Each burner has an individual heavy duty brass valve control and standing pilot for instant safe ignition. 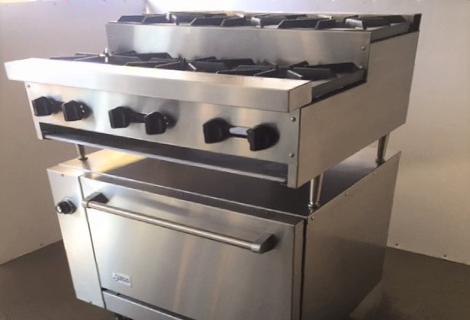 Every unit has flexibility to the space of the cooking line up, assuring low operation and maintenance cost. Stratus Stock Pot include standard features that you would normally pay extra for another Stock Pot lines. 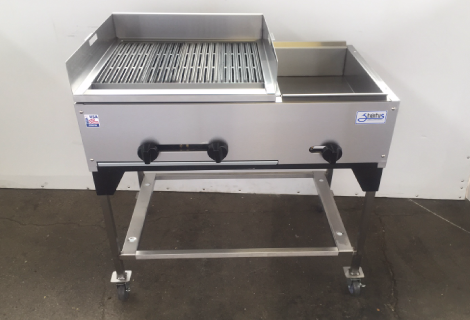 Constructed of heavy gage steel making for a sturdy chassis design, and three ring burner that provide high performance in a wide variety of cooking applications. Jet Wok Ranges provides a non-clogging brass burner tips rated at a combine total of 125,000 BTU/hr. 13” to 15” heavy duty cylinders for the SMJ (Mandarin Jets) models and tempura. © 2018, Stratus Equipment. All Rights Reserved.